The Internet Governance Forum (IGF) has been under threat and there is a raging debate on its sustainability. When the Indonesia government announced it would pull out as the convener of the 2013 IGF, the entire Internet community was thrown in a spin. For that reason among others, Internet Society (ISOC) has resolved to establish a legal structure with the objective of achieving stable and sustainable funding for an association in support of the global IGF and regional IGF initiatives. This is a welcomed development which will give stakeholders more resolve and confidence in participating in this important forum. The setting up of a group composed of ISOC, IETF, IAB, Regional Internet Registries, and ICANN’s Supporting Organization and Advisory Committees to steward IANA transition is welcomed. To have an all-inclusive IANA transition acceptable by both the East and West, ICANN which has been granted the privilege to spearhead the process will have to appear to be as inclusive as possible. The script had already been read when ICANN’s Government Advisor Committee (GAC) insisted on having 5 slots in the IANA transition committee to represent the five regions of the world instead of the two positions it had been given. The outcome of the whole process has to appear to have the interest of the world Internet user. All citizens of the world need to feel part of the whole process. I would expect a transition process that does not place any stakeholder in a privileged position. In the IANA transition, I do not see the need for structural changes in relation to the development of global IP addressing policies since that function is working as expected, a position shared by the Address Supporting Organizations. The Internet community will expect a transition with minimum risks on current well established operations. Many stakeholders have accepted ICANN to be the final manager of the IANA functions. To be more acceptable, ICANN has initiated a number of activities, among them Internationalization of ICANN to make it appear a not so much a “California (US) organization” but a global organization. The folly of this is ICANN is still a US organization no matter how many branches it opens worldwide, the world will still continue to see it as a US organization. As the IANA transition debate rages on, we will see positions change as each stakeholder tries to get an upper hand. France’s call for world Internet Governance Council to be headquartered in Switzerland to replace IGF and oversee ICANN operations is an example of the fear and marginalization other stakeholders feel within the Internet Governance landscape. My fear would only be more government control in Internet Governance matters, which would mean other traditional stakeholders would find it even harder to engage. I believe the different stakeholders can have equal say in shaping the future of the Internet. In Brazil during NetMundial, we saw all stakeholders coming together in an ad-hoc constituted meeting and trying to reach a consensus on common principles. Although civil society felt shortchanged in the process, it is a move in the right direction because you win some, and lose some. Although the IGF model as envisioned is not a decision making model, the Kenya IGF has been praised even at UN level where the output has been touted as a model to emulate because some of the decisions have gone ahead to be implemented at the national level. A good example is Article 10 of the Kenyan constitution where Multistakeholderism has been embraced where all stakeholders are consulted in national issues. As an example, we have seen Computer Authority of Kenya call for public consultation in the National Cyber Security Framework. Most government Authorities have representation of all stakeholders and the Kenyan consumer has a say in matters of policy. The question of concrete outcomes produced through the IGF is sometimes tackled diplomatically. At the UK IGF of July 2014, the organizers were not able to clearly indicate how the outcome of previous IGFs were used to influence policy, only stating that multistakeholderism and dialogue was part of the success of the IGF. The UK also stated she was able to adjust policy positions from outcomes of the IGF and have UK positions in bilateral talks with the greater Europe. However, there was no example given on these positions. Let us not lose hope. The IGF might be a talk shop, but the outcome has a positive bearing to our society. And talking is not necessarily a bad thing because consensus on contemporary issues is reached after engagement. It is my hope that we can have a discussion that is as inclusive as possible where all stakeholders feel they are participating on equal footing. The IGF provides a unique platform for all stakeholders to openly exchange perspectives on key issues that impact the future of the Internet. I also commend the IGFs for the capacity building it develops because participants usually have key lessons they domesticate back home. It is also my hope that the Internet Governance community can find a way to make the IGF more effective, and have a proper way to implement and measure the effectiveness of the outcomes. ISOC continues to stay real to its mission “to promote the open development, evolution and use of the Internet for the benefit of all people throughout the world” and has strived to take the internet to every corner of the globe. Internet Exchange Points (IXPs) enable Internet Service providers (ISPs) to exchange Internet traffic between their networks thus reducing the ISP’s traffic that must be delivered through upstream transit providers therefore reducing the cost of the service. So far, Africa is increasing the number of IXPs implemented therefore reducing the consumer’s cost of data carrier transit charges. The Axis project will help spur the growth of local content, and improve local hosting initiatives within the continent. Upcoming African Internet entrepreneurs have relied on renting servers and hosting their content on datacenters outside the continent. Initiatives like AXIS will change the status quo and enable more datacenters to be setup on the continent. Other factors that have contributed to low penetration of local content in Africa include expensive electricity that power datacenters and a culture where content is not necessarily written or digitized but passed down from generation to generation through word of mouth. Successful IXPs have been implemented in over 20 African countries with South Africa leading with five IXPs. The AXIS project has successfully launched four IXPs in Bujumbura – Burundi, Windhoek – Namibia, Mbabane- Kingdom of Swaziland, and the latest being in Serrekunda – Gambia in July 2014. Several capacity building workshops have also been held across the continent in Botswana, Rwanda, Nigeria, Egypt, and Gabon to strengthen existing IXPs. The AXIS project aims to have 80% of Internet traffic exchanged in Africa by 2020, keeping local traffic local. This is truly one of the Africa’s Internet success stories. After the last session on Tuesday July 24th, I happened to join the ICANN policy team through a trek across London from Padington to Marble Arch on Public House 6 New Quebec Street. It was a traditional English restaurant called the grazing goat. The setting summer solstice sun over the window overlooking the horizon was just incredible even though it was past 8PM. The Vice President, Policy Development David Olive lead the team. I learned it it was the first time the policy guys were meeting in such a setting. Because of the Internalization of ICANN, the staff come from diverse regions across the world from North America, Europe, and Asia, and this was a perfect opportunity for them to link up. A not so formal setting helped them bond and know each other better. The food was incredible from the wild boar starter, Yorkshire pudding, to the nicely grilled lamb and exotic French wine and double expresso coffee. The wild boar took me through a time machine to the times I was reading the French comic books Asterix and Obelix. We had great conversations with Robert Hoggarth, the ICANN Senior Policy Director, Ariel Liang, Susan, and Tom Dale the GAC secretariat contractors from Acig Australia. Well, it’s not manners to crash into parties, but the lessons and interactions I had with these cool people was invaluable especially know that I’m getting deeper into ICANN policy working groups. It must be fun working at ICANN, isn’t it? Trying to penetrate the various groups and become an integral MVP seems harder than cracking diamond with bare teeth. It’s like there are so many opportunities but getting in is proving more difficult. I met and re-established contact with many ICANN and AFRALO African leaders like Pierre Dandjinou, Abdelaziz Hilali, and Tijani Ben Jemaa. We discussed at lengths with Lars-Johan Liman of Netnod and Root Server System Advisory Committee on ways to volunteer at RSSAC. RSSAC is in the process of getting more volunteers involved, especially those with different skill sets, not just the traditional geek. I’m still considering how helpful I can be if I join this group. Sentiment analysis and Opinion mining is a new area in social media Business Intelligence analysis. Through much persistence, I was able to discuss with Aba Diakite, the ICANN Senior Manager for Business Intelligence on how ICANN can get instant feedback from the community just by analyzing social media posts. Aba was positive and promised to get back to me after discussing with the high and might at ICANN. So I was privileged to be a mentor for two newcomers, One from Venezuela and another from West Bank. Not because I know anything really, but because I had attended ICANN47 in Durban. Unfortunately, the West bank fellow was not able to make it to London. Not withstanding, I hope to meet him in future, probably in LA. His dream is still valid. “No matter where you come from, your dreams are valid.” – Lupita Nyong’o. As for Jesus, he was very informed and focused, and knew many participants especially from Latin American region. His interest was more on GAC where he understood most issues especially because of his past engagement with ITU. This was puzzling because his background is ccTLD management. My thinking was he would have found ccNSO a natural home. We are still in contact via email, so let’s see how it turns out. What gets measured gets done. This is just a beginning of a good thing, and the programme is superb. Timing of Guidelines to Mentors: A month is perfect, and the timing for initial engagement, 19th May was good. Guideline Package itself: It would be great if we can develop a mentorship guide, that new mentors can follow. In a matrix form, or something like that. One vs Two mentees: Two mentees are better. They can share with each other thoughts on the information given to them. Response and reaction from mentees: My mentee was very positive and eager to learn. He responded promptly to emails. Pre Meeting: I had a small meeting with my mentee where we exchanged expectations, and modes of participation at ICANN. I advised him to make a checklist of all sessions he wants to attend, and also make short notes, probably a paragraph on key takeaways for the meeting. This was to aid in report writing. At Meeting: We met in between sessions and evaluated effectiveness and relevance of the session. Post Meeting: We are still communicating via email, and finding the best ways for future participation in ICANN policy making activities. Does this need to be regional or based on compatible sectors: Compatible sector is better. It’s easier to engage on a professional level if you are from the same professional background. Apart from the officially assigned mentors, I was able to interact and learn with many newcomers. Questions like “Are you are a member of ATLAS constituency?” were not uncommon but were met with fine answers on ICANN structures. The fellows were lively and very eager to learn, from the knowledgeable Nabil of Morrocco, the young and intelligent Xiaohui of China, the friendly Martin Pablo of Argentina, the reflective Muchene of Kenya, Amparo of Dominican who insisted I should pronounce her name with Latin romance accent – Ampaarooo, Oarabile of Botswana who was oozing with life, to Adrian the key mobilizer. This is the perfect fraternity. The leads Jeannie, Karel and Gao conducted the fellowship meeting very professionally, and the alumnae were quick to interject when called upon. The ever smiling and warm Selina and Sarah (SS) were the perfect team for the ICANN newcomers booth. How Mama Janice picked two lovely people with extraordinary likable characters amazed me. No wonder visitors kept on going back to the ICANN booth. On one of the meetings, our constituency ran late and exceeded the time allocated, eating into the time of the next group coming in. Apparently, the team that was before us also ate into our 10 minutes. If you add room transition times, we started 20 minutes late. To make matters interesting, Staff told us our meeting allocated time had been changed from 90 minutes to 60 minutes. We were virtually thrown out of the room, in a rather undiplomatic fashion I must add after our time was up. 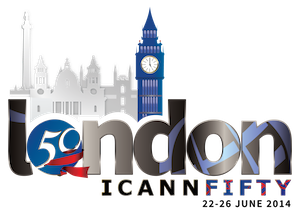 Social media was abuzz with London’s ICANN 50 trending. The twitter hash tag was #ICANN50. The At-Large summit was on with the tag #ATLAS2. How do you survive an #ICANN Meeting? Reply w/ ur top tips using #50tips, be included in #ICANN50 Mtg Guide! SSAC meets fellows #Icann50 in London. Security and Stability Advisory Committee. The value of PR and Confidence in national building.